OVER THE TOP RADIO~! #198 w/Beau James & news of the week~! If you liked this show, you should follow Cutrer. This week on OTTR~! join Ed and his co-hosts Cutrer and Craig as they are first joined by guest wrestling vetrain Beau James. We will talk to Beau about the ver well reviewed book he wrote called "You wanna be a wrestler, kid?" We'll talk to Beau about how he got his start in pro wrestling, how he learned the craft from his heroes and eventually stepped foot in the ring with them. 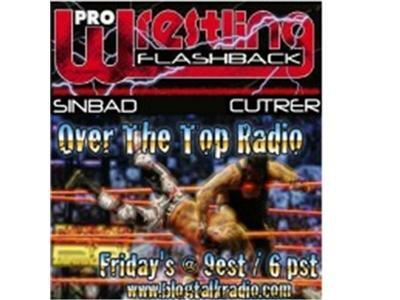 Beau will tell a lot of road storys about riding with guys like Jimmy Valiant, Ricky Morton, Dr. Tom Prichard, Dutch Mantell, Buddy Landel, Ivan Koloff, Jerry Lawler, Robert Fuller, Jimmy Golden and many more, Plus news of the week, all this and more on this weeks OVER THE TOP RADIO~!